I wrote recently about sending out some of my accumulated quilt tops for finishing by other professional quilters. Four tops went to two local ladies and one was shipped all the way to Virginia – to a quilter I first became aware of through her blog. 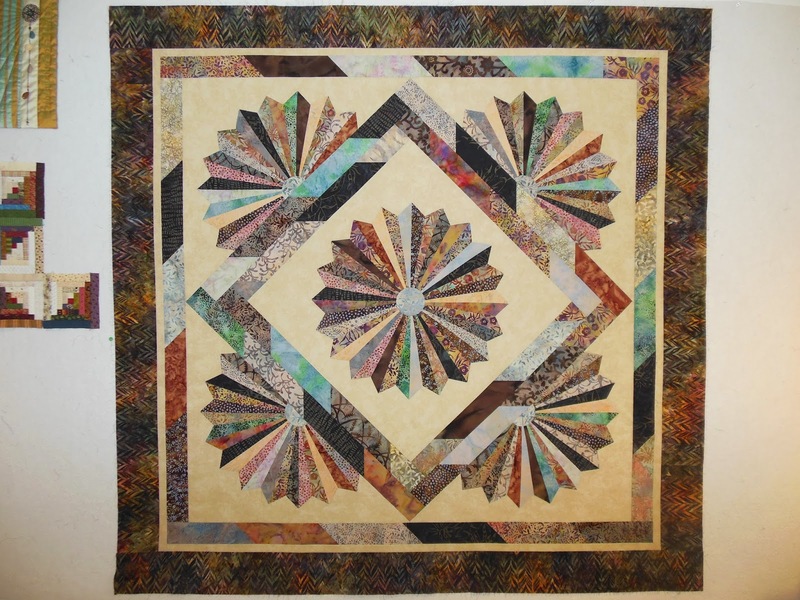 I’m a follower of Amy Johnson’s Free Motion Quilting Adventures, where I enjoy her down to earth approach and helpful tips. After reviewing photos, Amy requested I send the top that ‘spoke’ to her, a dresden plate variation, and my sense that I was working with a fellow artist was reinforced. Today, that quilt top is up on her design wall and is featured in her blog post about decision making in the quilting design process. Take a look!